Who says minivans can’t be cool?! The Chrysler Pacifica Hybrid will still haul the family, but it’s a bit edgier now with the new S Appearance Package. The addition gives the Pacifica Hybrid a shaded and blacked-out look, a design that is becoming quite popular today. The package is – and has been for awhile – available for the gas Pacifica. “The factory custom look of the S Appearance model is really resonating with our Pacifica buyers, so much so that we are now making it available on the Pacifica Hybrid model,” explained Steve Beahm, Head of Passenger Car Brands – Dodge, SRT, Chrysler and Fiat, FCA – North America. The styling deets have gloss black elements running the length of the exterior: grille surrounds, eyebrow accents on the headlamps, daylight opening moldings, roof rack, and rear valance moldings all see gloss black treatment. The 18-inch wheels and the Pacifica’s badging come in a “Black Noise” finish. The S Appearance Package fills the interior with a combination of black and “Light Diesel Gray” accents. 2019 Chrysler Pacifica Hybrid with the S Appearance Package. Photo: FCA US LLC. 35 years ago, Chrysler changed the automotive landscape with the minivan. Both Lee Iacocca and Hal Sperlich, fresh off a rejection from Ford Motor Company for a minivan concept, landed at cross town rivals Chrysler. They were the architects of the Mustang, which proved wildly successful for Ford, but the Blue Oval was hesitant to combine the words “mini” and “van” together. The Dodge Caravan and Plymouth Voyager would later surface, arguably to the bewilderment of not only Ford, but other automakers as well. That first generation paved the way for the Pacifica Hybrid, which provides 566 miles of total range and more than 100 available safety and security features. The cassette tape players of the early minivans are now replaced by the Uconnect 4 system of the Pacifica, complete with Apple CarPlay, Android Auto, navigation, and 4G LTE connectivity. 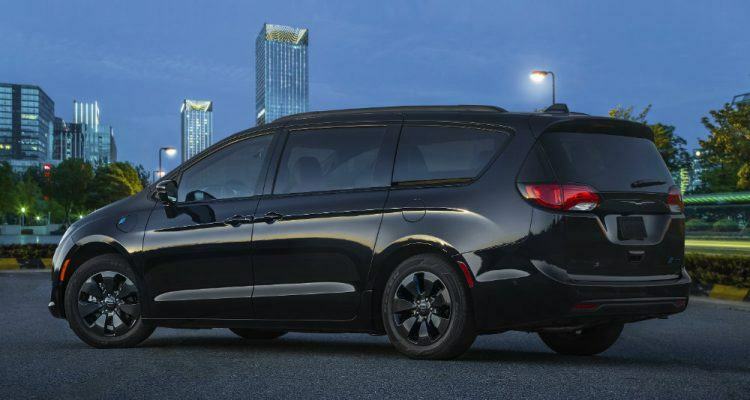 In essence, Chrysler’s minivan has aged well, boasting 115 specific innovations in the segment. “With 84 miles per gallon equivalent (MPGe) in electric-only mode and 33 miles of all-electric range, this package makes the industry’s only hybrid minivan even more unique,” Beahm added. The S Appearance Package for the 2019 Pacifica Hybrid is available for $595.00, and can be ordered as soon as next month. Expect S Appearance-themed Pacifica Hybrids at FCA dealerships this fall. 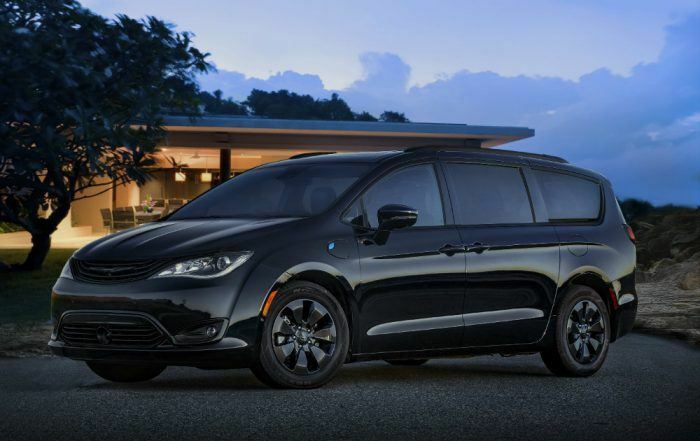 No Comments on "2019 Chrysler Pacifica Hybrid: New Appearance Package Proves Minivans Are Cool"